play a vital role in online marketing. It is like a web page which is visited by a visitor or user. Moreover, it is an effective component of advertising strategy. This page displays directed sales copy which appears while clicking on a search engine optimized result pages. It is linked to social media, search engine marketing campaigns and email campaigns. Moreover, it is widely used by the web masters in order to maximize effectiveness of the advertisement campaign. 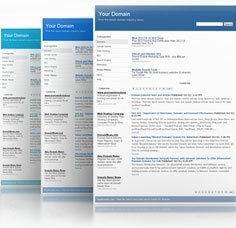 Through landing page, a visitor can access contact details, inquiry form and phone number. If you are looking for such online marketing services, feel free to contact with Blue Swami Media. Blue Swami Media is a leading SEO firm provides finest digital marketing solutions to businesses. With us, you will get complete customized services. For your assistance, we provide full technical support of the professionals. We have a team of experienced and skilled experts. Our adepts will cater all your marketing needs and help your business to achieve high return on investment and desired goals. In this context, our experts will closely work along with you for providing utmost customer satisfaction. Thus, to market your business in an efficient and fully customized manner, do contact Blue Swami Media, today. For compiling more information, clients can make us a simple phone call and request a quote online.